The battle rages on to prove the historic value of the Coca-Cola mural on the former Tipton’s Grocery in Bernal. Bernalwood received evidence from the owners of the building on how they discovered the mural in 1991 as they removed asbestos siding that was put up between 1949 and 1956. 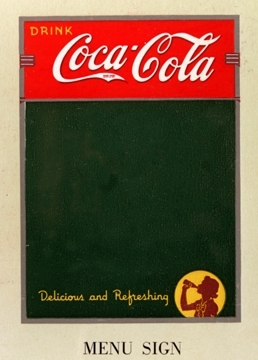 “The girl in the image is referred to in “Coke Lore” as Silhouette Girl. She was used from 1939 until around 1950 when she fell out of use. 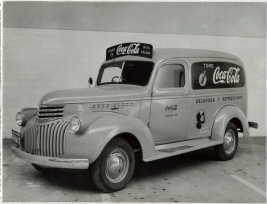 She is significant in dating items as she was one of the few characters that was used during the time we transitioned our “Trademark Registered” statement from the tale of the C in “Coca” to being placed under the words “Coca-Cola.” This transition occurred between 1941 and 1942. The first thing I noticed with the sign was the mark was under the words so it had to be later than 1942. You will note that given the Sanborn Map layout, that sign would have been perfectly positioned with sight lines to qualify as location for a painted wall sign. If you had to pin me to a date, I would say that based on the placement of the word drink and the use of the Silhouette Girl, the original would be from 1946 or so. Since we think the Tipton’s acquired the grocery around 1948, they were the ones that must have put up the siding and covered the mural. Last year the Coke archivists wrote a blog post on the history of their painted signs, discussing the guidelines they gave the bottlers. They also sent me the official book (once confidential!!) and an article on their wall painting standards. (PDFs, be sure to click through.) The article, by Professors Bill Bateman and Randy Schaeffer, is quite definitive. Yay! The timeline works out nicely here. 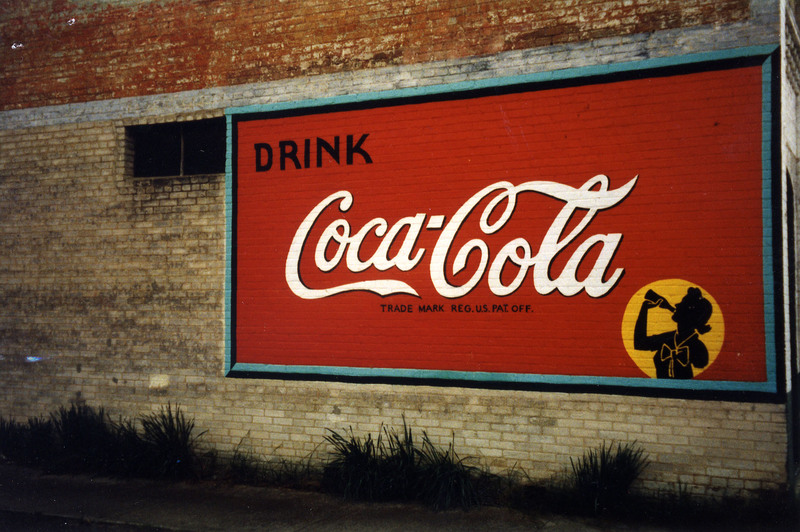 The homeowner suspected the sign was from 1947, so the data all points in the same direction, based on the homeowner’s information, the records of the store itself, and Coca-Cola. Great work. Now, off to do combat with the City. Ha, not me! As if I’d be able to pull off being a secret SFGate columnist. To equivocate, I agree that fifty year-old street art ought to be preserved. But this isn’t vernacular art, it’s commercial marketing. This ad is not unique, it’s for a corporate giant, and your supporters are “Coke Historians,” which is kinda sad. Then again, NIMBYism is an effective way to end any argument in SF and I agree NIMBY is lame. Actually, the supporters are many of the neighbors in Bernal, very few of whom seem to have an issue with the mural. The Coke historians, who we reached out to, just provided data. Yup. The supporters are, for the most part, local Bernal residents (like myself) who care about the history of our neighborhood. Coca-Cola historians were only called into to provide dating evidence, as they are the ones that have the knowledge of the specific history of the artwork featured in this historic mural. This is great! So glad they were able to help so definitively! I’m wondering if it’s possible to get a full-resolution copy of the photo of the sign? My e-mail is listed in the post details.